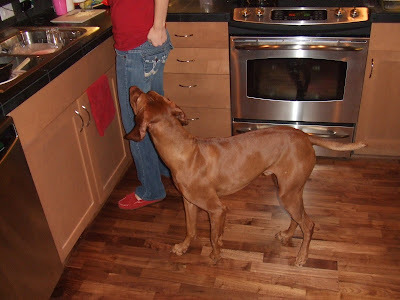 Just last friday I heard that one of our doc friends out here had a 2yr old vizsla. I was so psyched, I sent him an email that day. I don't believe I said one complete sentence, it was just a lot of excitement and random thoughts thrown down on the page. "I didn't know..." "We used to have..." "When can I watch him..." "Doug will pay you, to let me watch him!" We went over to meet him on monday, and it was such an eerie similarity to being around Pons. 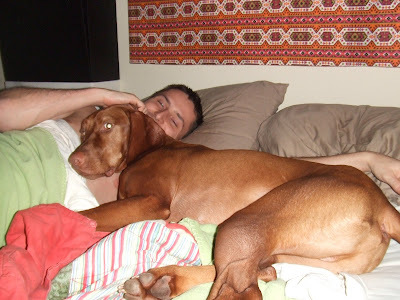 Clearly, they were the same age and both bird dogs...but Louie was still different. He listened, and did tricks...just to name a few! We've been thinking a lot about expanding the family...in more ways than one, but it's so hard to know when it's God's timeing and when it's your timing...and if your timing is for the right reasons. 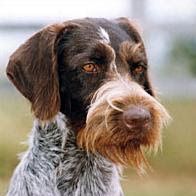 Anyways, while looking into dogs and staying in the bird dog category we have discovered a new interest in the pointers. 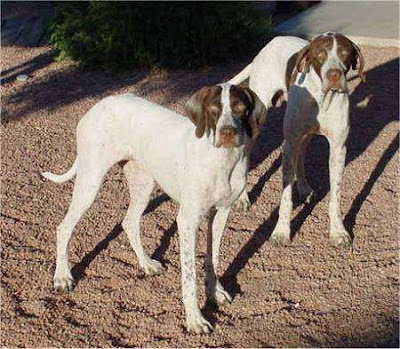 They all look different and act a little different as well...but we are hearing that these guys, the english shorthairs might be the way to go! Only time will tell...but right now we have Louie! He still requires the same amount of attention and physical activity as Pons did...but he lays down when you get back home, and he doesn't bite me all day?!!! I'm sure their will be more pics later, and I think we will have him more often and for 10 days at a time, so we are now considering ourselves his "God Parents!" Louie, Louie!!!! 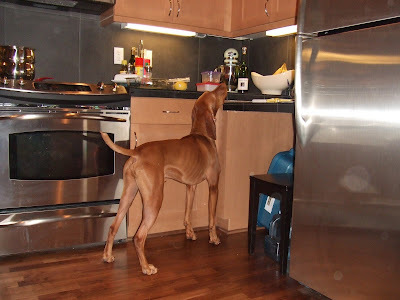 He actually listens and he's not as spastic as some other dogs in the past have been, but he's still a handfull! For some reason, we still love it! December 1 meant snow in Seattle! It was a breath taking site and the perfect amount of snow. We worried the city would start shutting down around us, but by 12noon, the snow was gone. We had a big Christmas event in the office that morning for patients, so we took a little nap before our "big city" adventure in downtown Seattle that night. The snow started coming down again that afternoon, the flakes were huge and wet. We worried if we should still go, but reminded ourselves we were from Ohio and lived in Iowa! Bundled up in our long pea coats and scarves and headed to the city. It was funny because we were pretty much the only ones dressed like that, and someone even commented on our attire that we looked like we were "way to prepared" for such weather! Anyways, downtown was beautiful...take a look.